To be in one’s ‘Ivory Tower’ is to dwell in ignorance or want to avoid the ordinary or the unpleasant. Usually this term is a criticism of the escapism or avoidance people crave rather than deal with the mundane or the problems at hand. But, high above the ordinary grey mundane pavements of Belfast, there is a restaurant which exists veiled in the clouds above the Victoria Centre. They are not concerned with what is going on below, not concerned with the mundane menu madness or the unpleasant unconsumable urban offerings served below. But rather, The Ivory Belfast, has created its own fantastic setting for a great night out based on their own vision of what that should be, and it is wonderful. The Ivory can be found on the third floor of House of Fraser, in Belfast’s Victoria Square. 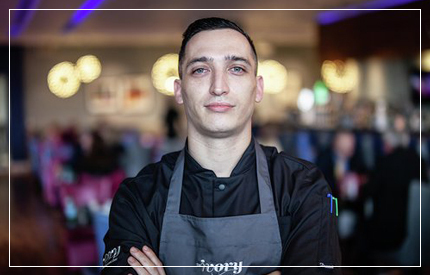 For more information, including menus and reservations go to theivorybelfast.com, and keep up to date on Facebook and Twitter @theivorybelfast.